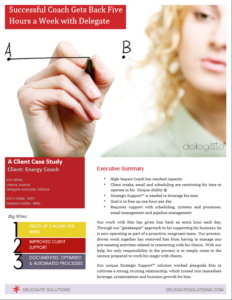 Explore how we relieved email and scheduling overwhelm through systematization in order to return time back to our Energy Coach client. 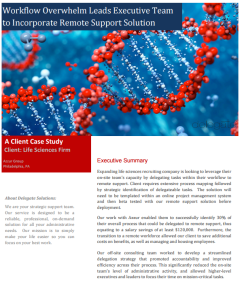 See how we helped him increase his productivity by 20% and add 10-12 hours to his week! 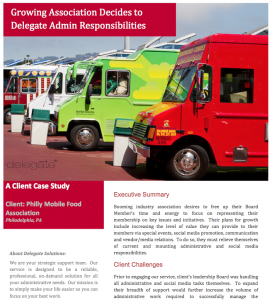 This booming industry association desires to free up their Board Member’s time and energy to focus on representing their membership on key issues and initiatives. Sound too good to be true? Check out how this busy entrep entrusted our team to take over management of his inbox and free up his time to launch new products! 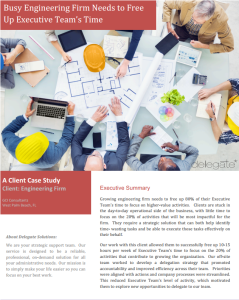 Learn how a growing engineering firm that was stuck in the day-to-day operational side of the business, freed up their Executive Team’s time to focus on higher-value activities. 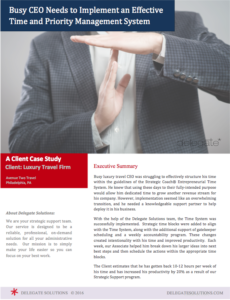 Take a look at how in just a few months we were able to free up over 200 hours of his billable time. 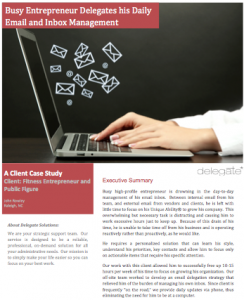 By delegating the administrative work to us, he was able to focus on delivering great service to his clients!